An Azulejo is a glazed ceramic tilework popular in Algarve and all around Portugal. They’ve been produced for over 500 years, so are found on many large public buildings, giving a brilliant insight into Portuguese past. While the early attempts to make these artworks- around the 15th Century- were fairly rudimentary patterns, the form had a long time to develop, meaning the the later works in the 20th century can be incredibly complex & awe inspiring. 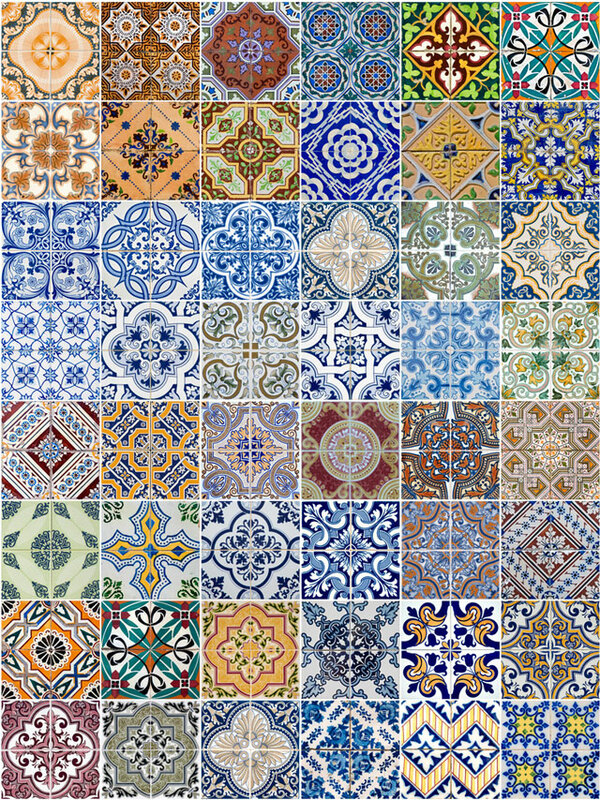 Here are a broad range azulejos form across the ages. Although there are azulejos all across Portugal, we’re mainly looking at the Algarve this month, so most will be from there. Later development of azulejos used multiple tiles to create larger images, but the design used from the 15th Century onwards were generally more uniform and singular. These are are a selection of earlier designs. They can be seen throughout the Algarve still, on the interior of old public buildings, and are particularly prominent in the large town houses of Faro. 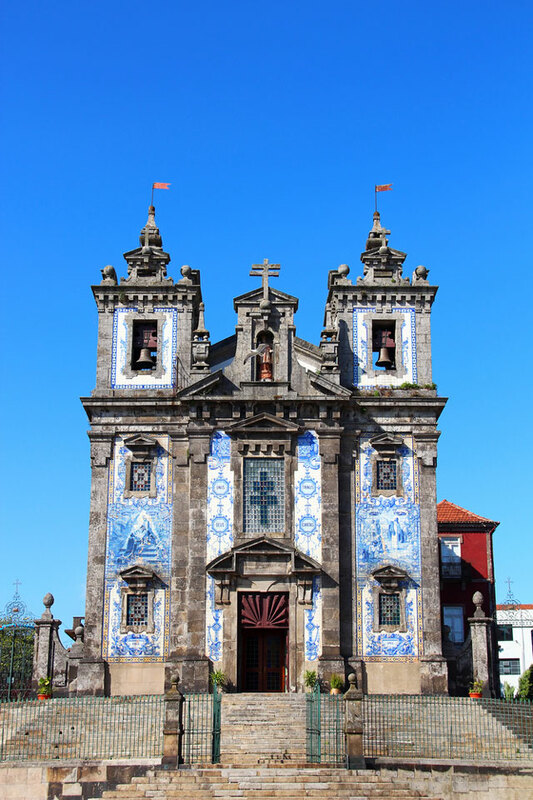 While not in the Algarve, this- and a couple more- churches in Porto are fantastic examples of ambitious azulejos design. The church itself was built in 1739, but the familiar Jorge Colaço placed the tiles in the mid 1900s. The original designer didn’t comment on the changes. At the turn of the 19th century, azulejo design shifted from individual pattern to more comprehensive and grander designs. 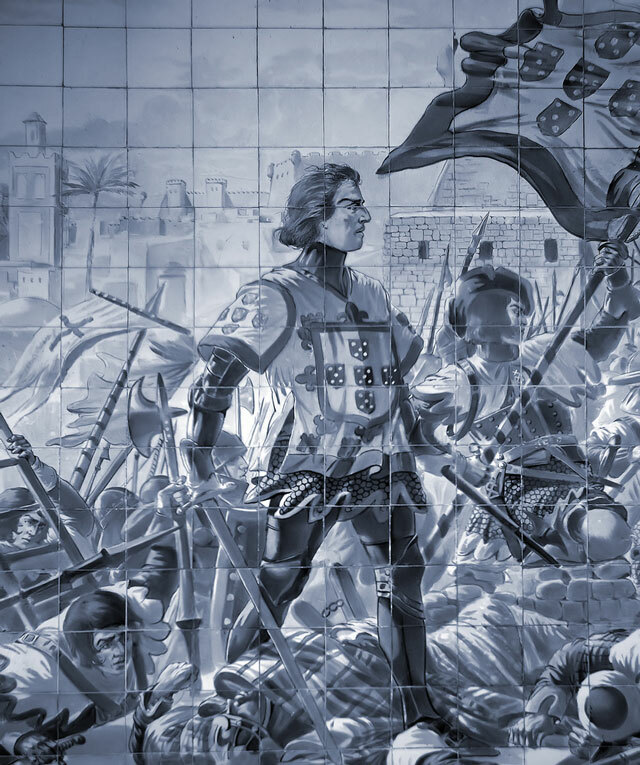 Further into the 19th century, Jorge Colaço was born, preluding to a new wave of azulejo design and popularity. This version has been digitally enhanced a little, but provides a good opportunity to see how well imagined the completed pictures are. This is a depiction of the Battle of Ceuta, a 15th-century invasion of North Africa but Dom Hentique. Although Azulejos traditionally ran until the end of the 20th century, there are still contemporary examples being used across Portugal. 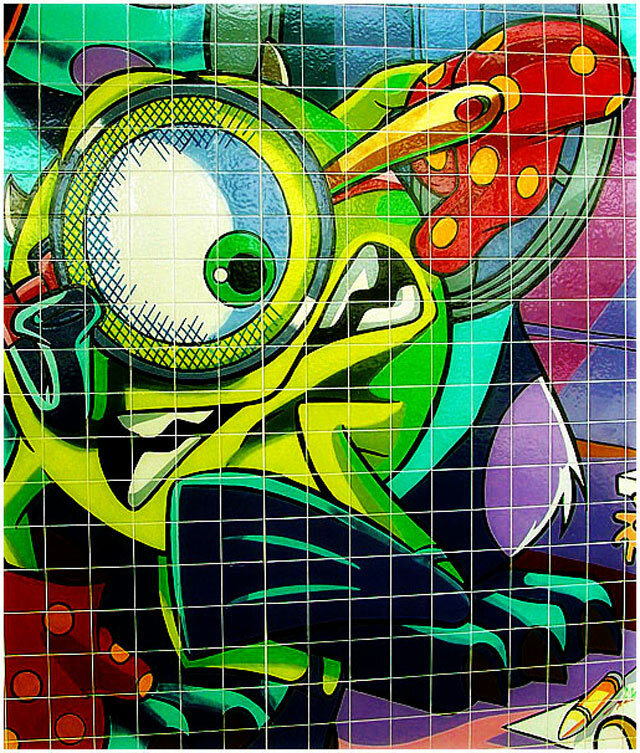 These two from Lisbon are a perfect example of how this old form of pop-art has become modern. Full copyright with Nunes Beirao. 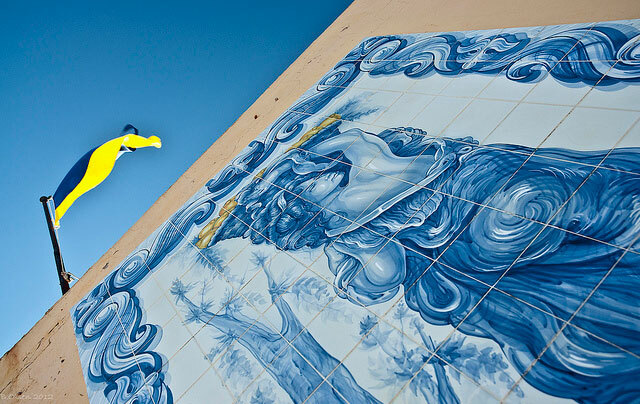 Being such a huge part of Portguese history, it’s hard to miss azulejos around the south, but the two more grand points are Sagres and Terra Viva, which is handy as they’re both at opposite ends. Many of the outside azulejos can be seen around the town. 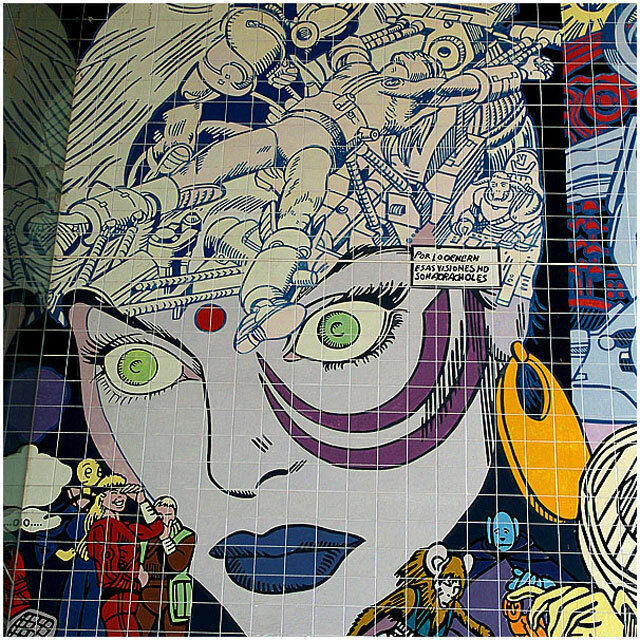 Murals like this Terra Viva art photographed by Bernt Olsen are commonplace. His works are also featured across the world, in countried including Brazil, England & Geneva. Brett Janes is a freelance writer and current MA Writing student at LJMU. He writes on lots of subjects, but here those subjects will mainly be food, wine and holidays.